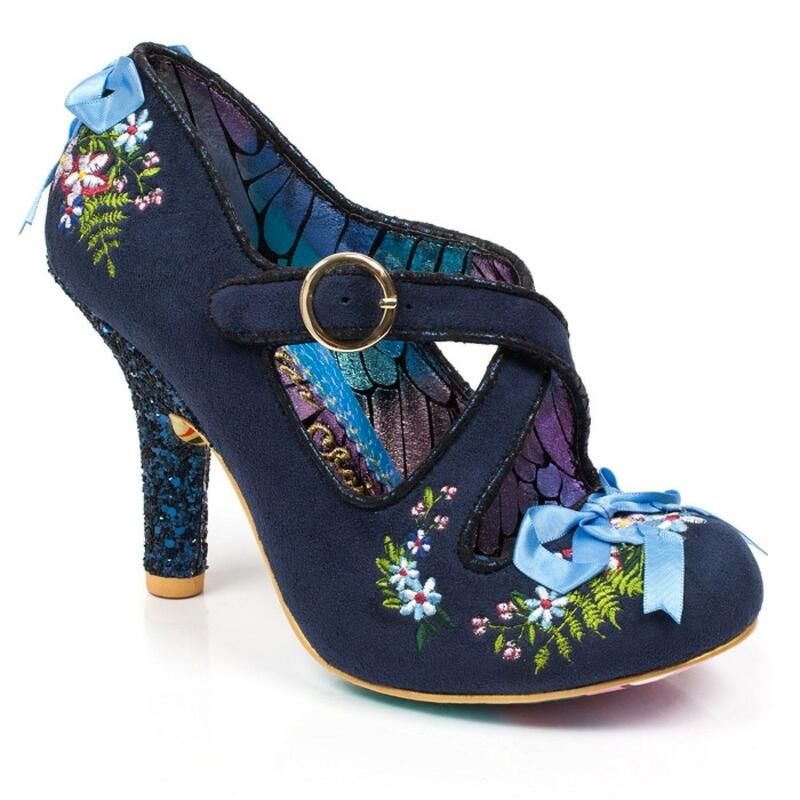 These Beryl Blossom heels by Irregular Choice are a vintage delight. 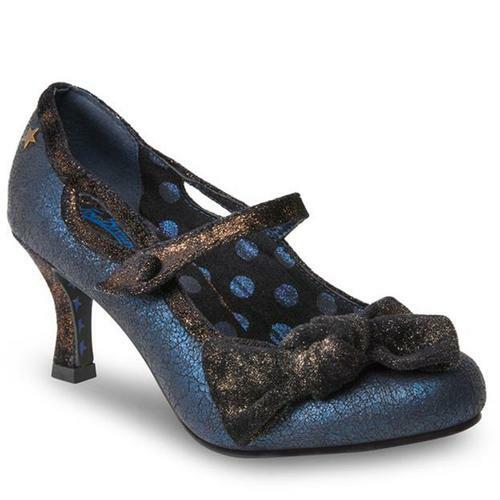 The upper is made of a soft leather that's adorned with elegant floral embroidery for a sophisticated 'ladies who lunch' feel, cute blue ribbons on both the toe and the back of the ankle that lend to the wonderful vintage vibe and criss-crossing straps that fasten with a gold buckle for that extra bit of shine. 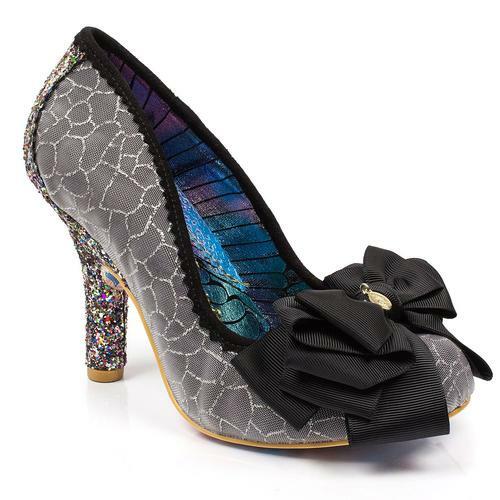 The signature Irregular Choice sparkle comes from the heel that is encrusted with eye catching navy glitter. Add a touch of class and sophistication to your wardrobe with these beautiful Beryl Blossom heels. 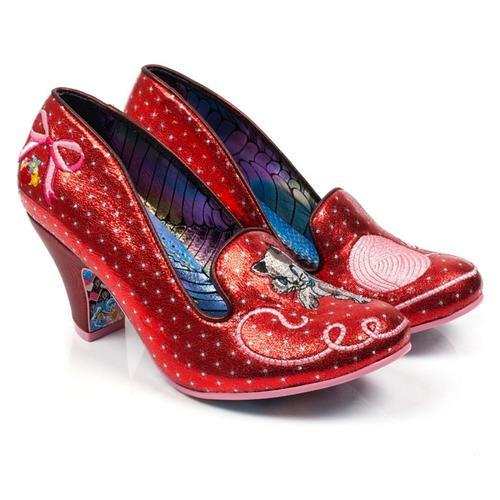 - Beryl Blossom vintage style high heels by Irregular Choice. 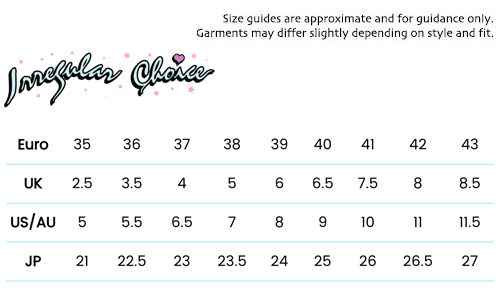 - Soft leather upper with vivid floral embroidery around the toe and the heel. - Baby blue ribbons on the toe and heel. - Criss-cross straps that fasten with a gold buckle. 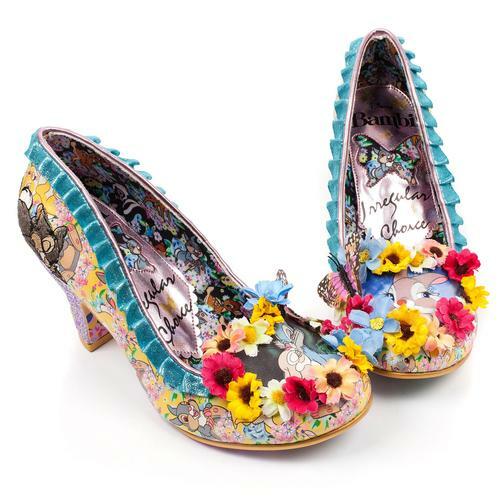 - Irregular Choice unicorn printed sole.